TalentAlign - Agile HR Strategies. Improve IT Organizational Effectiveness. Going Agile? People Transformation is our Speciality! 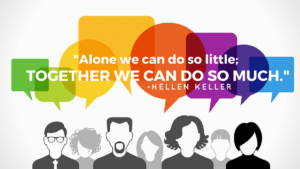 TalentAlign understands that, whether you’re a business that started Agile but finding it difficult to sustain as you grow, or an established business in the process of, or thinking about, “Going Agile”, new and different processes are going to be necessary that impact your people – your Human Capital. To get this “People Transformation” right, you are going to need specialist IT/HR capability that is not always available within the organisation. To develop these capabilities, we have created the Agile People Framework IT™, or APFIT™ for short. 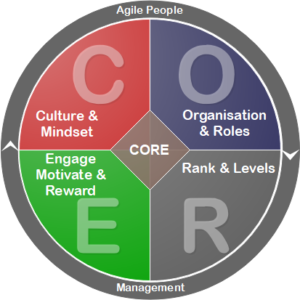 APFIT™ is a framework – not a model and not a “best practise” model, but a framework that helps to guide you through the process of creating Agile HR for IT in your organisation. We call it the CORE of Agile Transformation, because it deals with the component that adds the greatest value and contributes the most to the success of Agile Transformation … the PEOPLE! Frustrated the way that IT job titles just keep changing – especially now with Agile? Irritated because your top Agile skills leave for a more attractive job title? Concerned at how to define a well-articulated career structure in an Agile environment? Feeling let down because traditional Remuneration practices just don’t work in the new world of Agile? Worried that your traditional Talent Management is missing the mark in your Agile workplace? Feeling a bit like a square peg in a round hole in this new Agile world? Feeling a little bit lost because traditional HR just doesn’t seem to work in an Agile workplace? Embarrassed, or even maybe a little intimidated, when you don’t have solutions for Agile people issues? If you answered YES to any of these questions, APFIT™ can help you, and can help you achieve success a lot faster than without it. The purpose of this website is to assist IT Line Management and IT/HR Business Partners who are transitioning to an Agile IT workforce for the new agile organisation. You want to know that, going forward, you will be able to attract, grow and retain the top Agile IT talent and offer them the best remuneration, development, and career opportunities that an Agile HR service can offer. And you want to know that our knowledge, process and methodology can help you to achieve that. We don’t only “talk Agile” – we ARE “Agile”. So, our processes are necessarily Agile. When we start working with you, we set up one or more Masterminds. Why Masterminds? Let me explain. Mastermind groups offer a combination of brainstorming, education, peer accountability and support in a group setting to sharpen your business and personal skills. A mastermind group helps you, and your mastermind group members, achieve success. Members challenge each other to set strong goals, and more importantly, to accomplish them. Our Mastermind groups are, in fact, Retrospectives. Our facilitators help the group to dive deeply into discussions, and work with members to create success — as each member defines it. Through our mastermind group process, we establish your “Product Backlog” – your learning journey, based on your priorities. Then we plan the “Sprints” – these include both learning and doing. At the regular group meetings (Retrospectives), the group members collaborate to help with creative ideas and wise decisions-making. As you implement the learning, you bring both success stories and problems to the group. Success stories are applauded (loudly! ), and problems are solved through peer brainstorming and collective, creative thinking and learning. The flexibility of our Agile People Framework IT™ (APFIT™) guarantees experience, skills and expertise without the overheads. To learn more about our Agile People Framework IT™ (APFIT™), click the button below. We have also created a FREE Agile HR Mastermind - for people who are not necessarily implementing right now, but are looking for more information and experience from peers.